I truly don't know if I've met someone who doesn't like The Shins. For ten years now, the New Mexico band's jangly guitar melodies that will be stuck in your head for hours - even if you don't know any of the words. "Half a Million," from The Shin's most recent endeavor, Heartworms, proves that point almost too well. The band dropped a video for the mind-numbingly catchy song today, and honestly, it's just as quirky as you'd expect. The video uses stop motion and was shot in over four thousand frames. Thousands of stickers were cut out by hand, and then pasted on top of each other in over 40 different locations. It's executed so precisely that it almost hurts your brain to watch, but it's also so hard to look away. 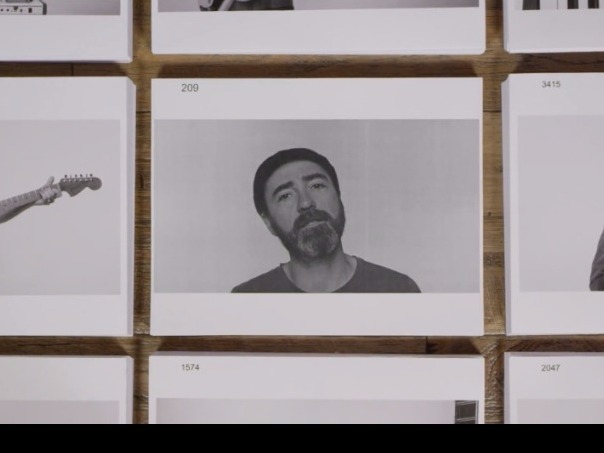 Plus, there's nothing cuter than a mini version of The Shins singing on a charcuterie plate.